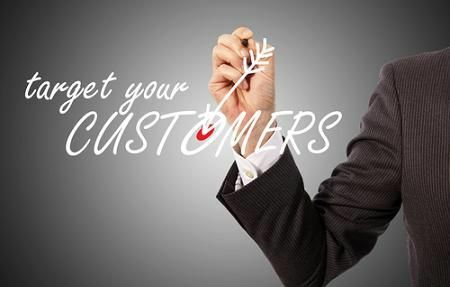 A technique that continues to gain popularity is one-to-one marketing, which allows customized marketing messages to be delivered to customers and potential customers based on demographics, stated preferences or other individual characteristics. When applied over the multiple forms of media that consumers are exposed to every day, the technique becomes one-to-one cross media marketing. One-to-one marketing is sometimes referred to as personalized or relationship marketing. It uses what’s known about a customer to present individualized advertising and marketing messages. The company must find out general demographic data such as age, profession, educational level, address and income level. The company must also locate specifics that will be used to create the individualized messages, such as a customer’s product preferences, pain points and problems that need to be resolved, as well as previous experiences with the company or competitors. As this process is refined, you’ll be able to see where you can produce marketing messages that will attract the interest of and inspire purchases from well-identified individuals. When cross media marketing is added, one-to-one marketing techniques are applied to messages presented in the various print, online, video and audio media that a potential customer uses every day. A marketing message delivered via website can be revised to also reach customers thorough social media, email marketing, text messages, direct mail or online video. Interaction with customers is made much easier through one-to-one cross media marketing. Customers can interact with you via email, online chats, websites, social media comment pages or text message. They can easily participate in webinars or online focus groups and can give you feedback directly through online media. Further interest can be generated by providing websites, social media pages, QR codes or online surveys where customers can go for more information and interaction. Using a professional cross media marketing firm to fulfill your campaigns could make it easier to track the reach and effectiveness of your marketing efforts. How can one-to-one marketing and cross media marketing improve your ability to reach the exact customers who are most interested in your products and services?